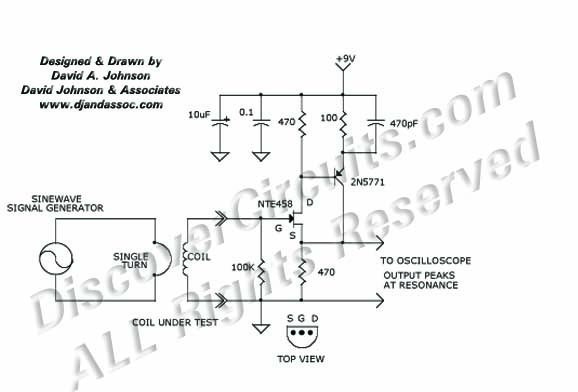 Circuit: INDUCTOR SELF-RESONANCE TESTER Circuit designed by David A. Johnson, P.E. If you want to know what the self-resonance frequency is of an inductor, this circuit will help. It adds only a few picofarads of parallel capacitance to the inductor under test. With the aid of an oscilloscope and a signal generator this circuit will allow you to measure resonant frequencies from kilohertz to over 10 megahertz.